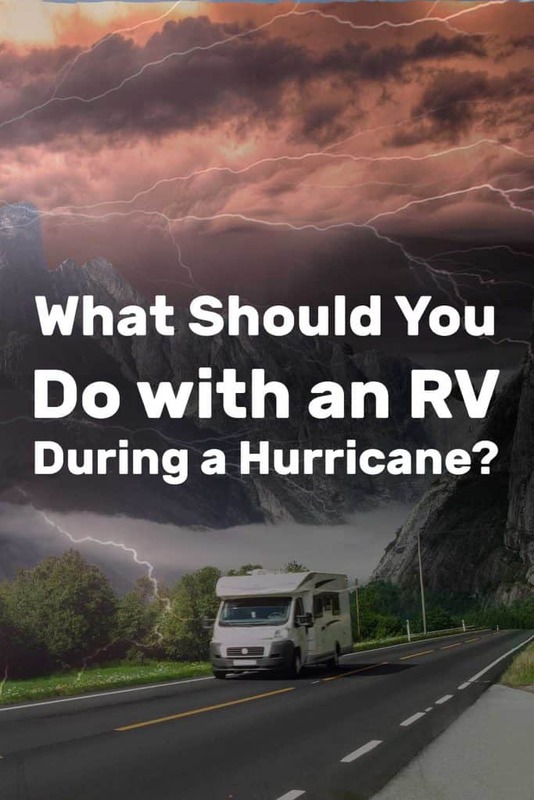 What Should You Do with an RV During a Hurricane? Hurricane winds can drag or topple over an unsecured an RV, posing extreme dangers for anyone in the RV – or in its path. Whether your traveling in the East Coast or you live there – if you have an RV and a hurricane is coming, you need to take the necessary steps to protect your rig. Bookmark this guide and share it with friends, so you have these instructions underhand should you encounter a hurricane forecast during your travels. If there’s enough time – try to drive away from the area. Otherwise, store the vehicle in a secure facility as far away as possible from the predicted path of a storm. If you must park your RV in an open area, make sure it’s on high ground and away from large trees. Board up the windows, empty the black tank, fill up the water tank and if possible, stock up on food on supplies and tie down the RV. Finally, find suitable shelter for you and your family including pets. Yes, there are other things you should do, but these are the essentials. Let’s explore each step in more depth and then offer you additional tips. Knowing that a hurricane is headed your way is a frightening experience but there are things that you can do to prepare and help you and your family to weather the storm. How far away is far enough to avoid a direct hit from a hurricane? And do you have enough time to be driving away? Generally, during a hurricane, it is best to avoid coastal areas and move inland. Just how far is enough, depends on the intensity of the storm and where exactly it landfalls. Unfortunately, although advancements have been made in recent years, predicting where a hurricane will make landfall is an inexact science. So, how far inland can a hurricane reach? According to the Hurricane Science website, coastal floodings can reach tens of miles from the coastline, while winds will take their toll up to a few hundreds of miles into the shore. So, to stay absolutely safe, if a major hurricane is predicted, try and keep a distance of at least 500 miles from the Ocean. That essentially means staying out of any of the states that are in the path of the hurricane. How will I know if I am in an evacuation zone? The National Weather Service and the local news stations will report what evacuations zones are ordered by each state’s Department of Emergency Management. The zones range from A to D. Zone A (coastal and lowest lying areas and mobile homes) is the first zone ordered to evacuate. Then, zones B, C, and D are evacuated in that order. Florida Department of Emergency Management lists the evacuation zones for each county. When should you drive away? 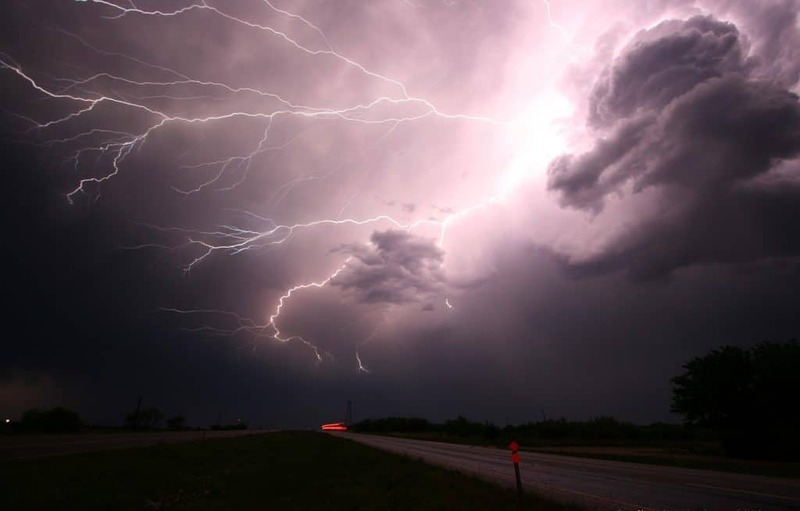 Storms often build up over hours or even days. You want to avoid driving an RV – and especially towing a 5th wheel or a travel trailer – when there may be strong side-winds. That’s why the right time to evaluate in your RV is: A long while in advance. Since it can be difficult to predict where a hurricane will make landfall when it’s still away from shore, many RV’ers prefer to just stay away from the south-eastern US during hurricane season. 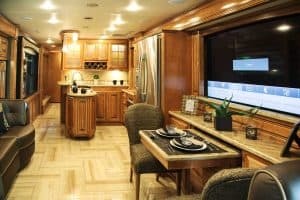 Is it safe to ride out the hurricane in an RV? No. Mobile homes including RVs are not safe to stay in during a hurricane. Hurricane force winds have sustained winds in excess of 74 mph. You will need to find a safe location for you, your family and your pets to ride out the storm. This may mean a hotel, Air BnB, or as a last resort a local public shelter. Public shelters will be the least comfortable option. Public shelters that allow pets have limited space available. If you plan to go to one, it is best to do so as early as possible. How much wind would it take to tip over an RV? That depends on whether the RV is camped or in motion. While on the road, RV’s (specifically towed units) can be quite unstable. When parked with full tanks and stabilizers, they are in much better shape but may still not withstand a full-blown hurricane. Even a mild breeze can affect an RV when it’s on the road, let alone stronger winds. Just how much wind your rig can take depends on its shape and make. In principle, travel trailers are the most at risk because they can begin to sway from the pressure of side-winds. Once sway takes hold of a trailer, you could be in trouble. Read here on how to prevent trailer sway and what to do should it happen. The bottom line is – it’s best to avoid the risk by driving slowly, towing properly and staying off the road when the wind blows. With the stabilizers down and the water tanks filled, your RV should be able to withstand tropical storm force winds. However, hurricane force winds are another story. According to the Saffir-Simpson scale, once you have at least one minute of sustained wind at over 74mph – that’s a hurricane. Winds can get much stronger in a hurricane though. A category 5 hurricane will have winds of 160mph and more. That is a very strong wind and no RV in an open area can take that kind of wind. So what will happen? Given a strong enough wind, your RV may flip and/or become severely damaged. The wind can also drag an RV across a significant distance. Anyone in that RV will be in imminent danger. Flooding is another major risk for RV’s in a hurricane. Water surges from the ocean and/or from rivers to cause massive flooding. RV’s are not amphibian vehicles – the water will get into the rig and ruin it. So, how do I prepare for a hurricane? Remember the bottom line – you and your family should never be inside an RV that’s in a hurricane zone. Ever. You should either clear the area long before the winds begin or plan on securing the RV to the best of our ability and seeking shelter in a secured building. We’ve already covered when and how far to get away. But if you can’t get the RV away from harm’s way in time, there’s still plenty you should do. If you can, find a secure storage facility that is boarded up and protected from the wind. Check with them to see what kind of insurance they offer, in case the building is flooded or your RV is otherwise damaged during the storm. If that’s not available, park your vehicle on higher ground and away from large trees facing the direction the wind is expected to come. Put away any awnings, leave any slide-outs pulled in and put down the stabilizers. For additional security, you can tie down the RV, board up the windows, and make sure the water tank is full. Filling the tanks will add weight and lower the center of gravity increasing stability. Once the hurricane is over, you should hopefully still have an RV to return to. Assuming the RV is also your home in the area, you want it to be fully stocked up when the storm subsides, as it may take a while for the authorities to resume the supply of electricity, fresh water etc. With no electricity, there is likely to be a shortage of gas, cash and food essentials. Get enough food that doesn’t spoil outside the fridge and is easy to prepare without using an oven or a microwave. Make sure you have enough supplies for at least three to four days. As a general rule, you will need one gallon of water per person per day. You may want to purchase bottled water and store them in addition to filling up your freshwater tank. Don’t forget food and water supplies for toddlers, babies and your pets. Refill any prescriptions you will need during and immediately following the storm. Keep enough for personal use on yourself as you go to the shelter but also store additional supplies in the RV. Have a first aid in the RV as well, just in case. Purchase batteries and flashlights if you do not already have them. If the store is out of batteries, try the local toy store. Most people will not be “toy shopping” but these stores do often sell batteries. Portable cell phone chargers are excellent because you can often charge your phone multiple times from the portable charger. Don’t be surprised if you lose cell phone service during the storm but service is likely to be restored before everyone in the path of the storm has power. You may want to invest in a portable power bank that also has solar charging capabilities. This one would be a great choice (Amazon link). Fill up your propane and any other gas you might need. However, make sure to turn off the propane cylinders before leaving the RV! Store the propane as safely as you can, and pad the box in which you store it. Expect scattered power outages during and after the storm and it may be weeks before an affected area has power fully restored. Most gas stations will not be able to dispense gas without electrical power. If you plan on using a generator after the storm, you will be glad that you took the time to purchase gas beforehand. Remember, you will be leaving your RV for at least 1-2 days and staying at a secure shelter. And there’s always the chance your RV will suffer enough damage requiring you to manage without the RV for much longer. Make sure you have all of your important documents, as well as emergency cash, in water-resistant containers. Don’t forget things like medicine and crucial personal belongings such as prescription eyeglasses. Read here more about preparing an emergency kit for hurricane evacuation. What if I or one of my family members has special needs or is chronically ill? There are public shelters specifically for the chronically ill. These shelters have special generators that can be used during the storm in case the power is out. For some chronically ill patients, like those with severe heart disease or COPD, extreme heat or cold can be deadly and it is best for those folks to go to a special needs shelter. Check your policy: Make sure your insurance policies on your RV and its contents are up to date. 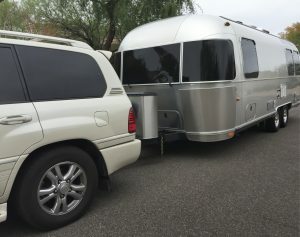 You will need total loss replacement or Full-Timer Coverage if you use the RV as your residence 6 months or more during the year and you do not own a primary residence. You may need separate policies to cover contents and attachments such as the awning, satellite or A/C unit. Take pictures and/or videos of your RV and your belongings before the storm. If for some reason the worst scenario happens and you lose everything, you will have a record to show your insurance agent. Be sure to also take photos of any damage to keep for your records. Upload everything to your Dropbox or Google Photos account. 5. Create a communication plan for your family and friends. Lastly, designate one family member or friend that is not in the predicted path of the storm to be your emergency contact person (ECP). Let them know where you are and how to get in touch with you after the storm. It will be much easier to contact one ECP to let them know you are okay and what you need than to call all of your family and friends. Your ECP can contact your loved ones to update them on your status. Also, everyone in your party should know how to contact the ECP in case anyone gets separated during or after the storm. 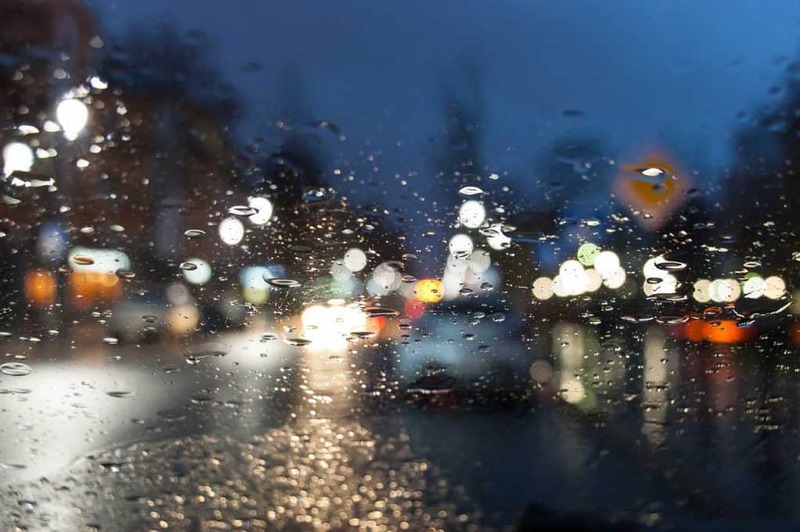 Immediately after the storm, avoid the temptation to wander outside and certainly do not go driving anywhere. Expect downed power lines, debris everywhere, and flooding. Many deaths attributed to hurricanes happen after the storm passes. As soon as you have phone service, check in with your Emergency Contact Person. If your batteries run out, you can check the radio in your vehicle for updates and news. Return to your RV once you are able to. Assess damages and see if you can safely go back to living there. Don’t try to drive away unless you know for sure that a. you have enough gas and b. your route has been 100% are cleared of debris and is free of flood water. An ounce of prevention is always worth a pound of the cure. If possible, try not to be in hurricane-afflicted areas during hurricane season. If you must stay in your RV in coastal areas during that time of year, read up and be prepared. 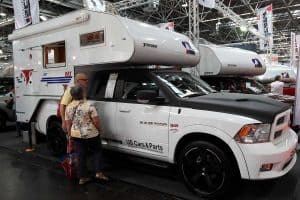 Previous PostHow to Reduce Road Noise in an RV? Where Can You Park an RV for a Few Hours? 8 Small Truck Campers That Take You Camping Where No Trailer Can!